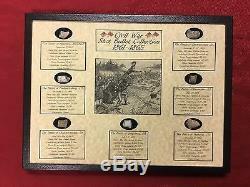 Shot Bullet Relics Collection from Major Civil War Battles in Case with COA. 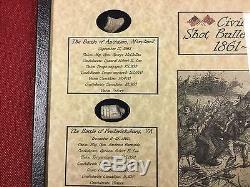 Shot Bullets from Major Civil War Battles in Matted Display Case with COA. Locations: Antietam, Fredericksburg, Chancellorsville, Gettysburg, Chickamauga, Kennesaw, and Franklin. This is a beautiful case that describes major battles in the Civil War. The case is 12" x 16" x 3/4. EACH case comes with a "Certificate of Authenticity". 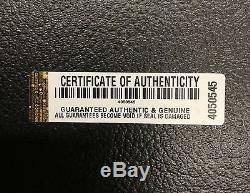 We GUARANTEE this product to be AUTHENTIC & GENUINE. Each Bullet was found at the locations described. This display case has two holes for easy wall mounting. (Please select X-Large Acrylic Easel stand for this case). Where do you get your relics? Southern Star Displays would never intentionally sell falsely labeled relics. At Southern Star Displays we take pride in displaying our relics accurately and professionally. That's how confident we are in our relics. Any product you return must be in the same condition you received it and in the original packaging. 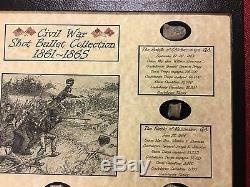 Shot Bullets from Major Civil War Battles in Matted Display Case with COA Locations: Antietam, Fredericksburg, Chancellorsville, Gettysburg, Chickamauga, Kennesaw, and Franklin. 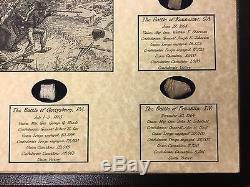 The item "Shot Bullet Relics Collection from Major Civil War Battles in Case with COA" is in sale since Thursday, May 11, 2017. 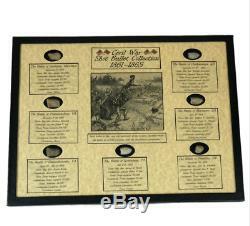 This item is in the category "Collectibles\Militaria\Civil War (1861-65)\Original Period Items\Bullets". 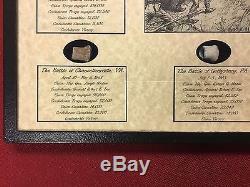 The seller is "southernstardisplays" and is located in Dover, Tennessee.